Bioware has confirmed that Dragon Age: Inquisition’s new “Jaws of Hakkon” DLC will come to PlayStation 4, PlayStation 3, and Xbox 360 in May. News of this comes from the official Dragon Age Facebook page, but no specific date was given. Jaws of Hakkon launched last week on PC and Xbox One as part of a timed exclusivity deal with Microsoft. Bioware was apparently not allowed to discuss the release date for other platforms, and whether this gap in release will be the same for future DLC is currently unknown. 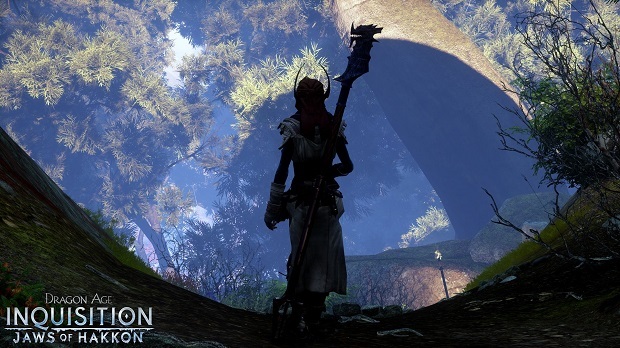 Dragon Age: Inquisition won Gaming Trend’s 2014 Game of the Year award, but despite widespread acclaim, Bioware won’t be releasing a new game in the series this year. Series writer David Gaider recently announced that he would be leaving Dragon Age for a new project within Bioware. For more on Inquistion, check out our spoilercast and thoughts on the game’s portrayal of LGBT issues.